Born at Neche, North Dakota in 1875, son of Cyrille Dumas, he came to Manitoba in 1897 and settled in the Municipality of Fort Garry where he established a general construction company, which built houses, roads, and public buildings throughout Winnipeg and Fort Garry. On 26 January 1898, he married Mary Nisbett (?-?) of Fort Garry; they had no children. 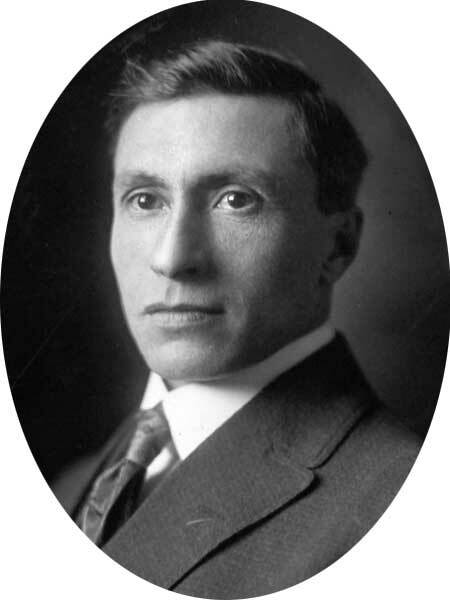 He served in the Manitoba Legislature from 1915 to 1920 but was defeated in the 1920 general election. He moved to California in 1935 and lived near Los Angeles. He died at Saugus, California on 14 January 1950. He is commemorated by Dumas Avenue in Winnipeg. “Former MLA, Joseph P. Dumas dies in California,” Winnipeg Free Press, 18 January 1950, page 15.